Call 732-598-7700 to see the Keyport Condos For Sale, condos for sale in Keyport. When looking for a condo for sale in Keyport you’ll find that there are seven condo complexes in Keyport. The Keyport condos for sale can have one, two or three bedrooms. Some are waterfront homes, while others offer a water view. Also, some condos have a garage. Because FHA financing is not approved in any of the Keyport condos, purchasing a home with an FHA loan is not possible. But qualified borrowers are able to get financing that requires a low down payment from other sources. Call me at 732-598-7700 to discuss. Keyport is a waterfront town located on the Raritan Bay. It features a large marina and a fishing pier. Keyport also has a quaint downtown shopping area with restaurants (we heartily recommend the Keyport Fishery) and antiquing. Views of the Raritan Bay, the New York City skyline and three major bridges are available from various sections of town. Commuters will love living in Keyport because of the location. 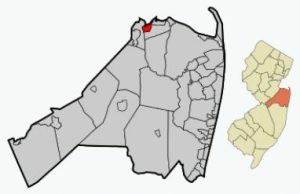 Keyport is located close to major transportation routes. In addition, New Jersey Transits North Jersey Coast Line is available at the train station in nearby Matawan. You can also ride the high-speed ferry, SeaStreak, to New York. The boro has 1.4 square miles. Public School students will attend Keyport Public Schools. This school system provide education to students in prekindergarten through twelfth grade. When students enter high school they may also apply to one of the five high schools in the Monmouth County Vocational School District. Specialized courses are available in fields such as high technology, computer science, marine studies and biotechnology. Also courses in the medical and science fields are available, among others. Nearby there are also a number of private schools in the area. Brookdale Community College is just a few miles away.